The Perry siblings, Kimberly, Reid and Neil, grew up singing together in Mobile, Ala. At 15, Kimberly was singing in her own band, using her brothers as roadies and, occasionally, her opening act. But in 2005, the three joined together as The Band Perry and were quickly added to the New Faces of Country tour that same year. The trio met Garth Brooks' manager, Bob Doyle, a few years later, and he offered to work with the siblings. Together they recorded a demo that caught the ear of the newly formed Republic Nashville label, which signed them in 2009. 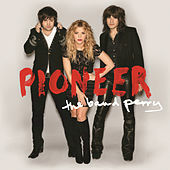 The Band Perry's debut single, "Hip to My Heart," was released in November 2009 and did well on country radio. As the trio went into the studio to work on their debut album, the label released a self-titled EP in May 2010.